Clean CarFax and title. Dealer maintained and serviced. Fully inspected. 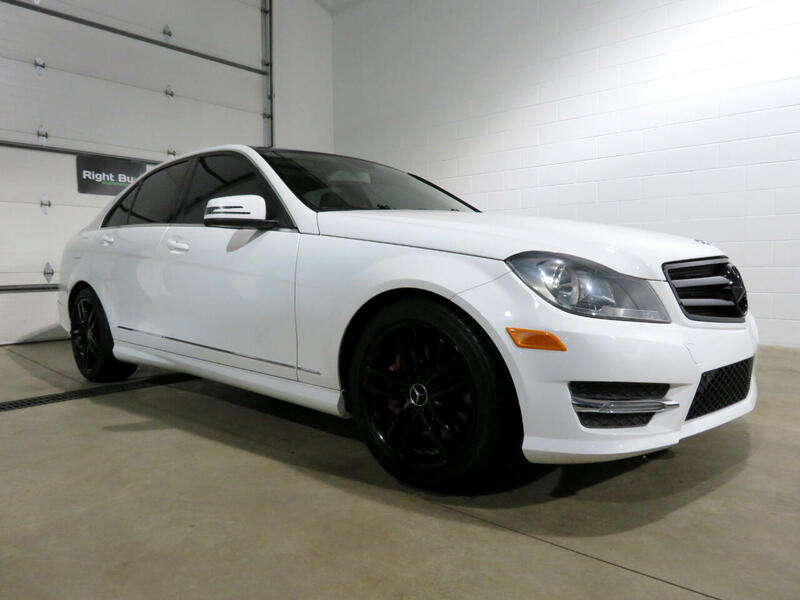 This Mercedes-Benz C300 is the Sport 4Matic model. Some of the features included are power-adjustable heated front seats, each with 3-position memory; driver’s seat memory includes steering column and outside mirror positions; driver’s and passenger’s adjustable lumbar support; dual-zone automatic climate control with dual rotary temperature controls and automatic control of blower speed and airflow distribution (with manual override); rear-cabin air vents at rear of front console; electrostatic dust and pollen filter; hand-polished Laurel wood trim on doors, dashboard and console, with polished chrome highlights; panoramic sunroof; auto dimming rearview mirror; AM/FM stereo/weather band radio In-dash single-CD player with MP3 capability; power front and rear side windows with one-touch express-up/down; electronic cruise control; smartkey remote control; variable-focus halogen head lamps; alloy wheels and much more! Every vehicle at Right Buy comes with a full inspection report CarFax vehicle history report affordable extended warranty options and low rate financing options. Set an appointment to view the vehicle in our heated indoor show room. 12 MONTH 12K MILE BUMPER TO BUMPER EXTENDED WARRANTY AVAILABLE FOR $1,480 OR 3 YEAR 36K MILE WARRANTY FOR $2,280.